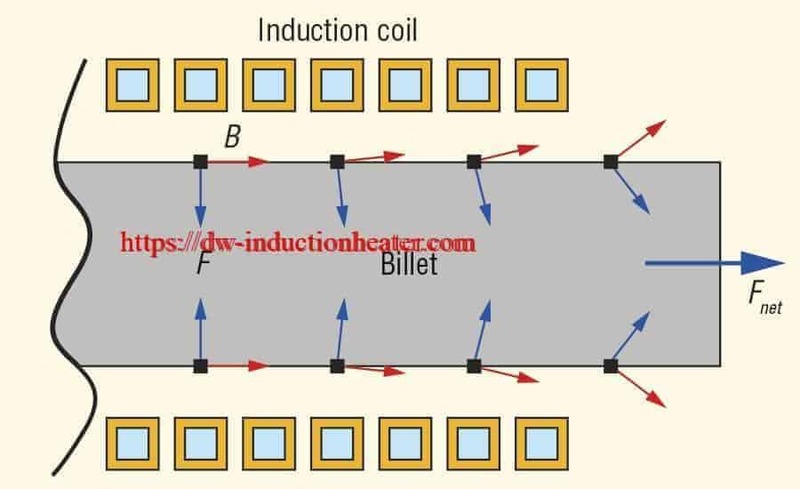 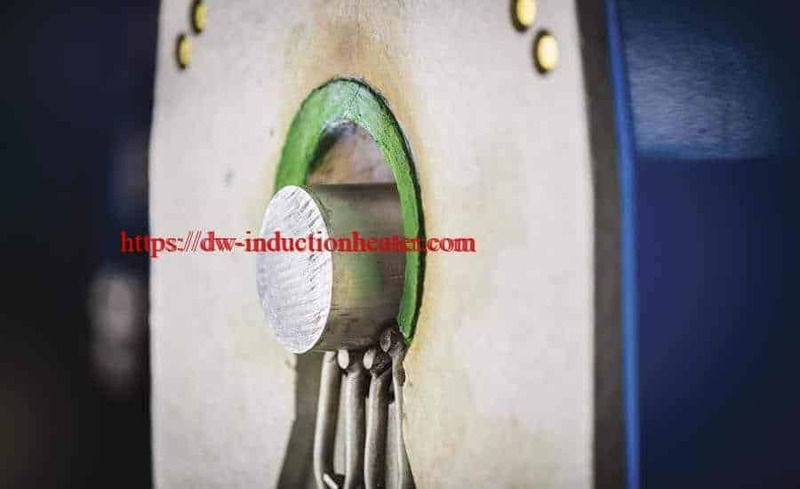 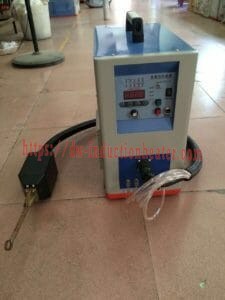 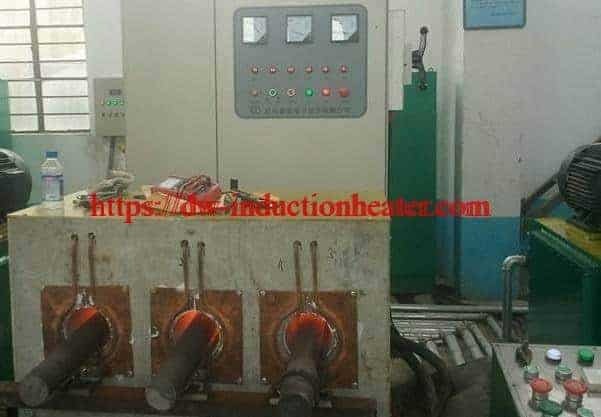 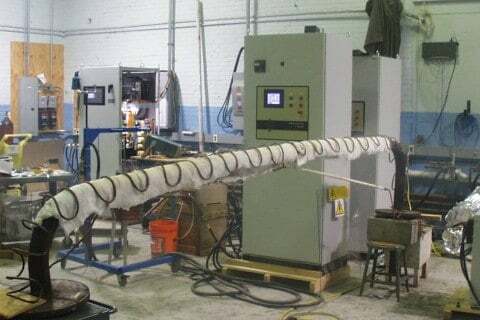 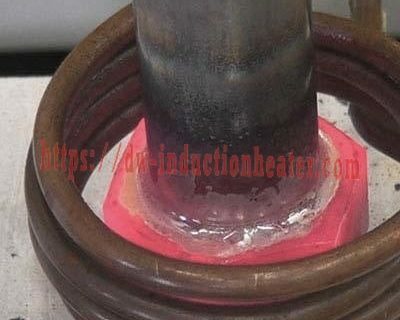 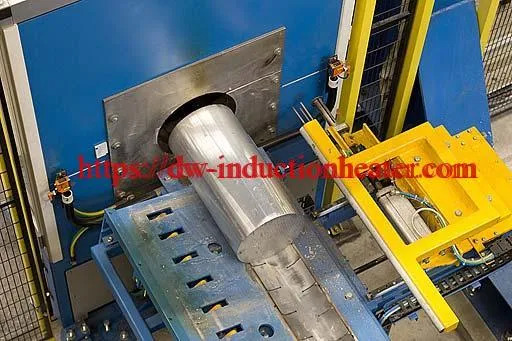 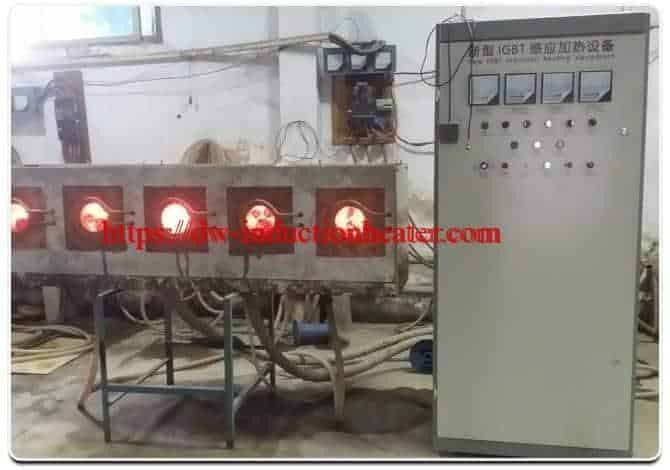  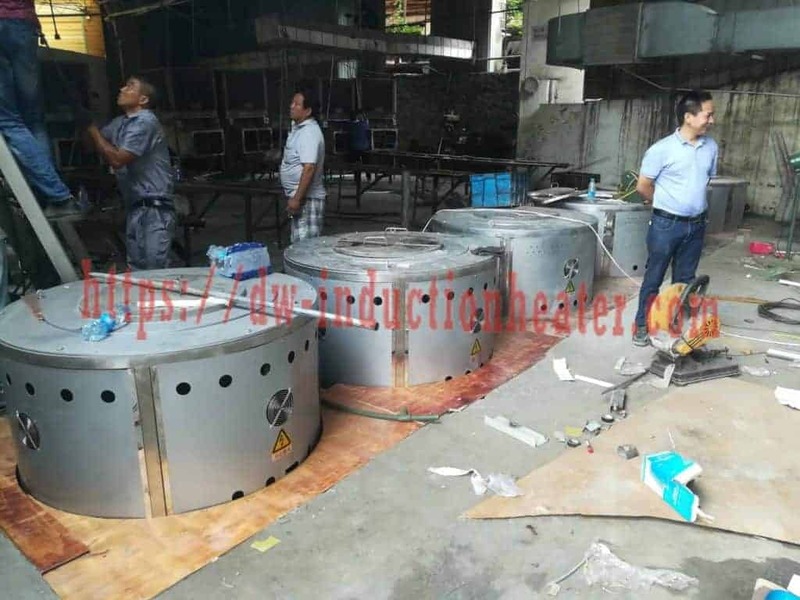 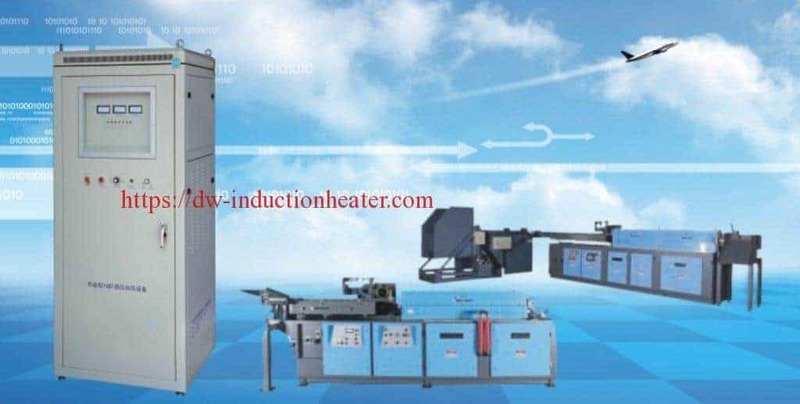 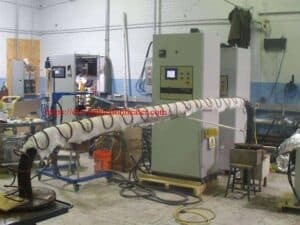 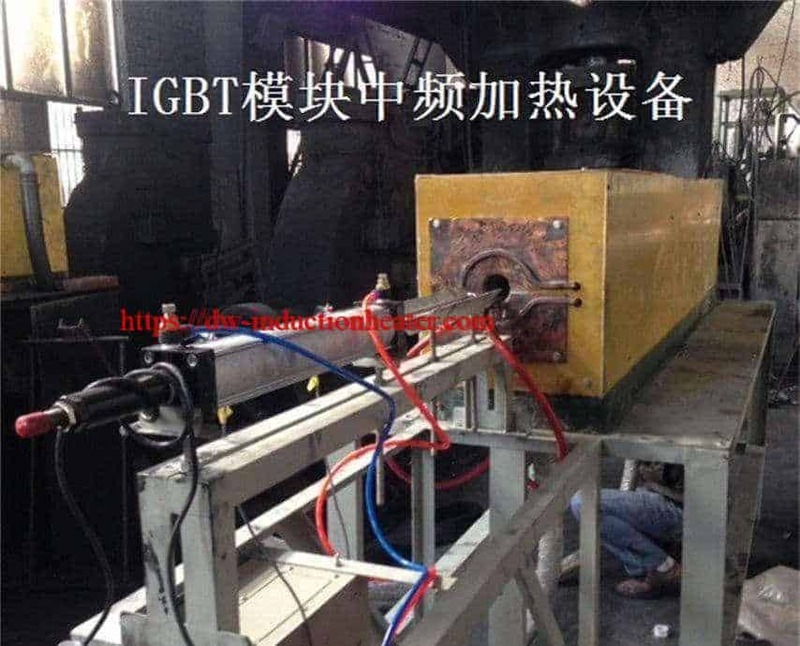 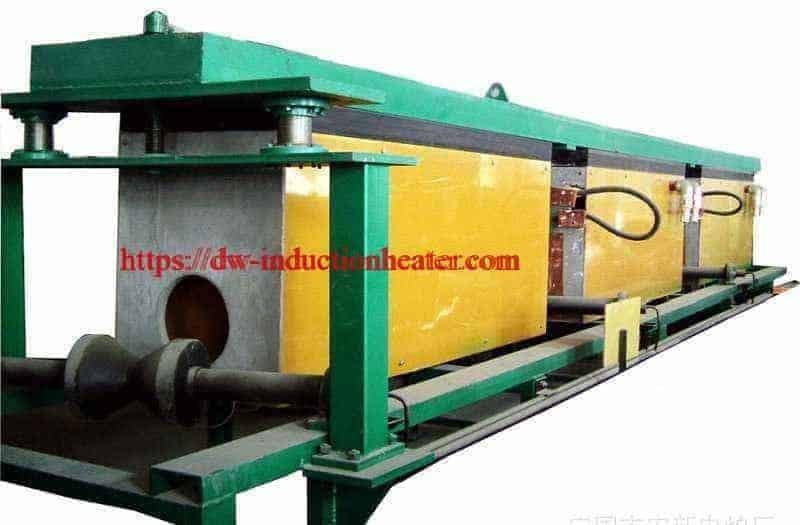 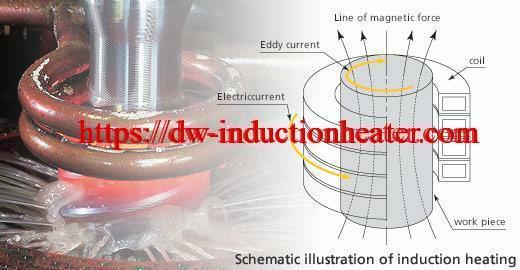 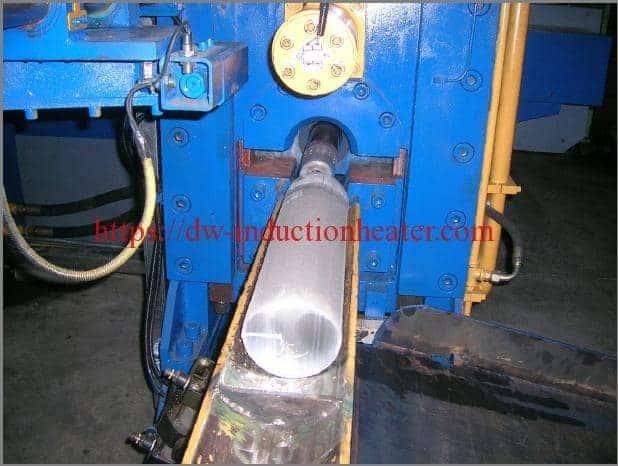 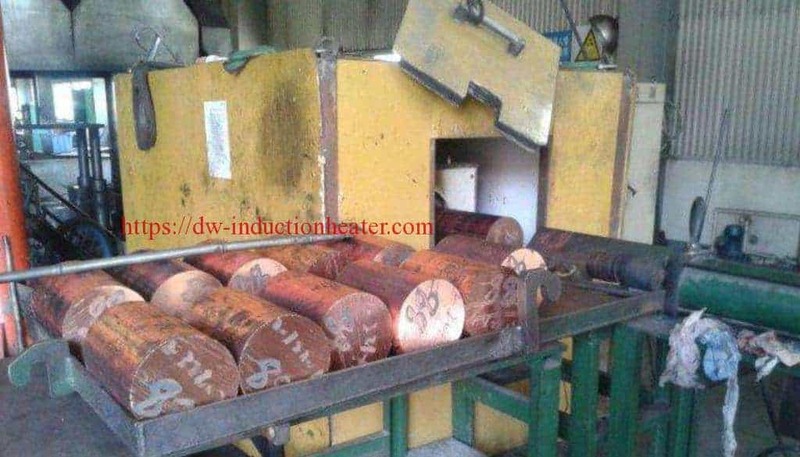 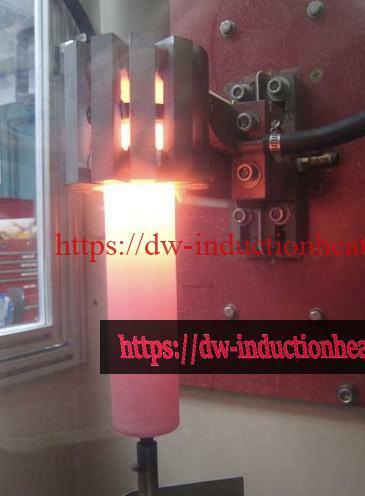 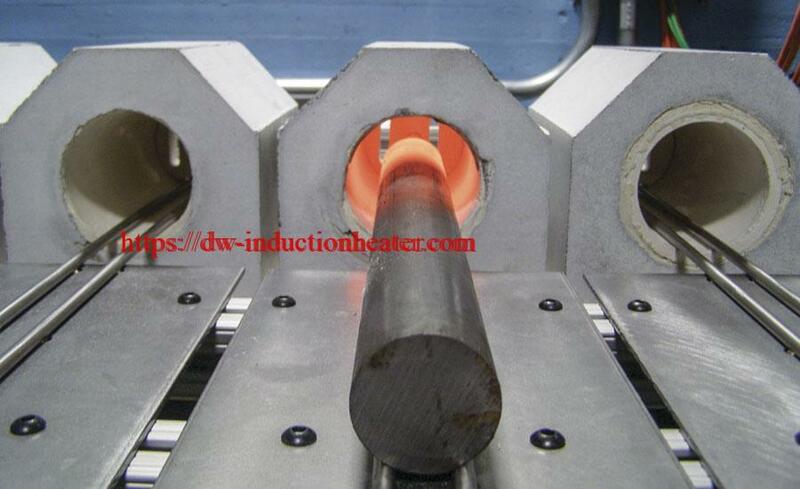 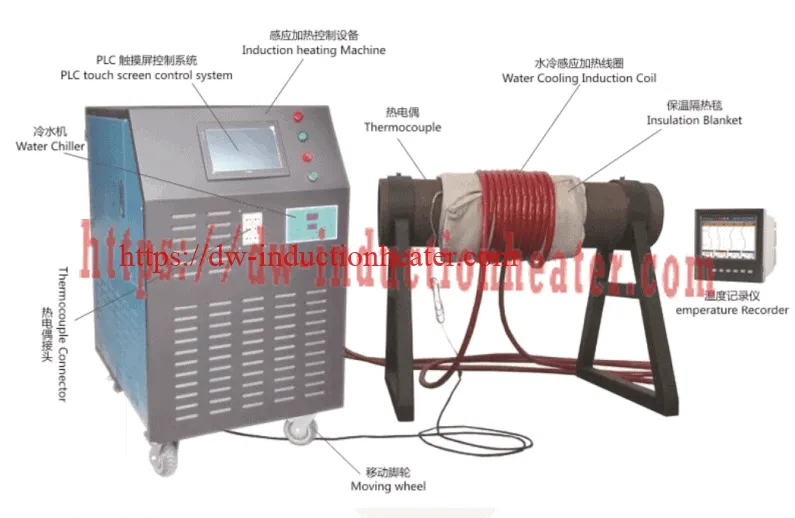 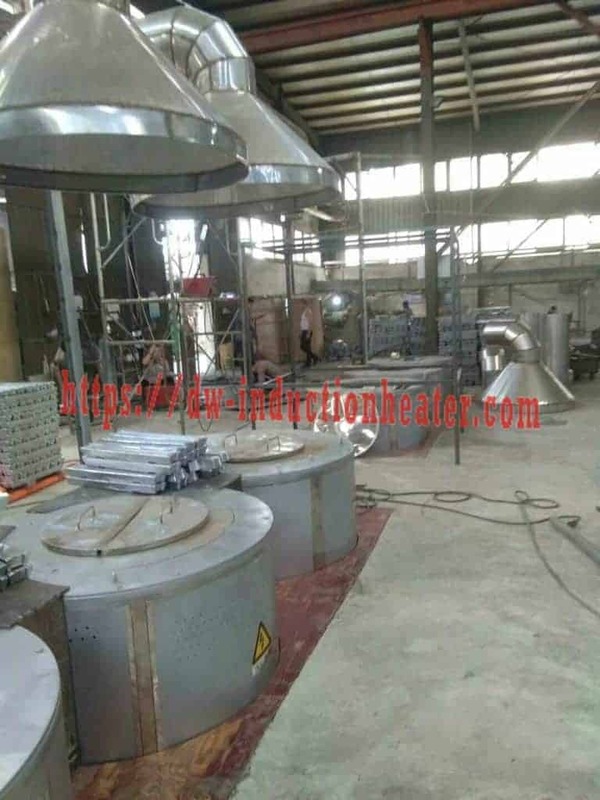 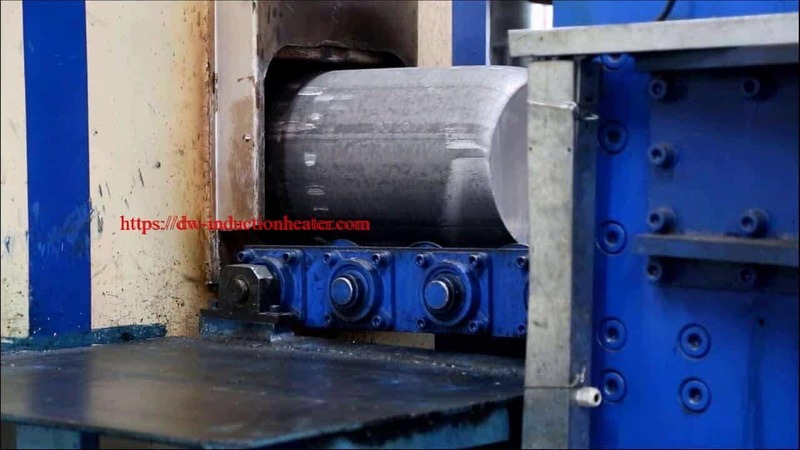 Equipment • DW-MF-160kW induction heating system, equipped with a remote workhead containing one 25μF capacitor. 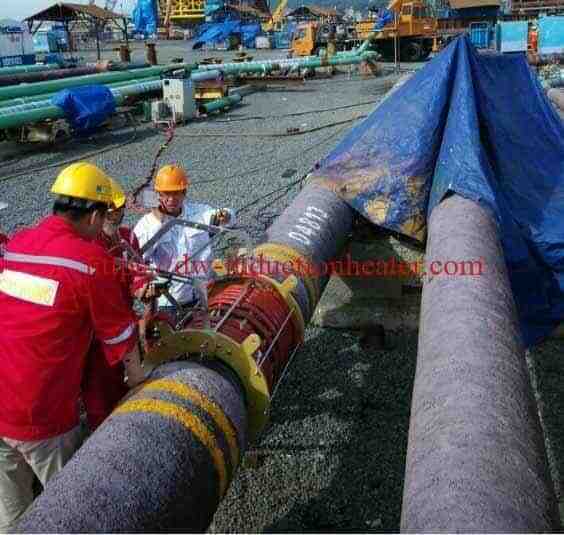 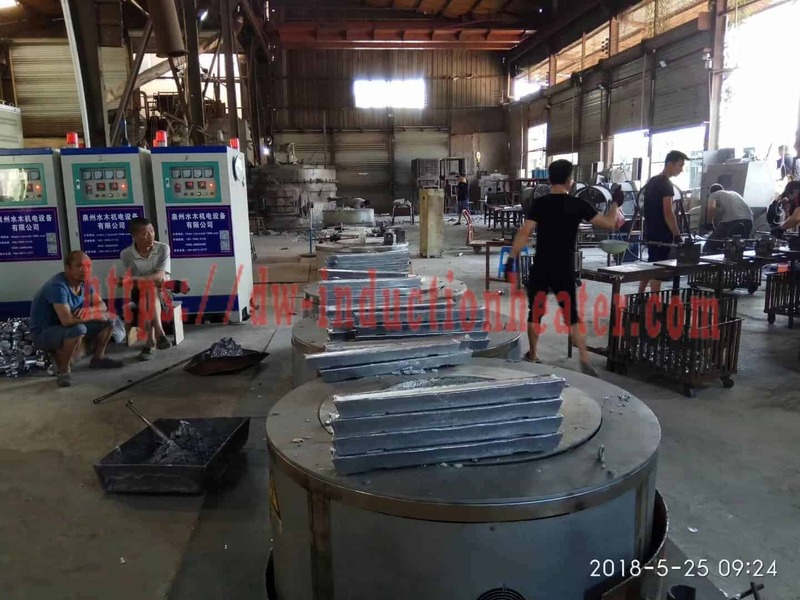 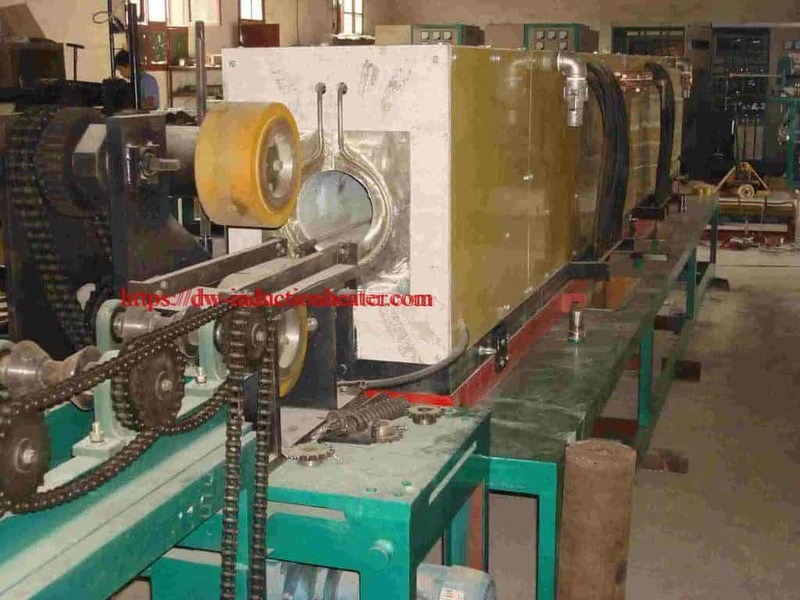 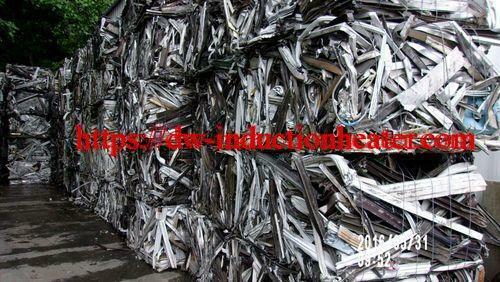 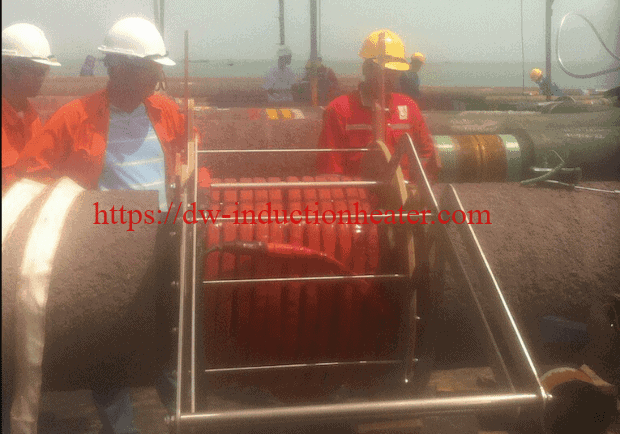 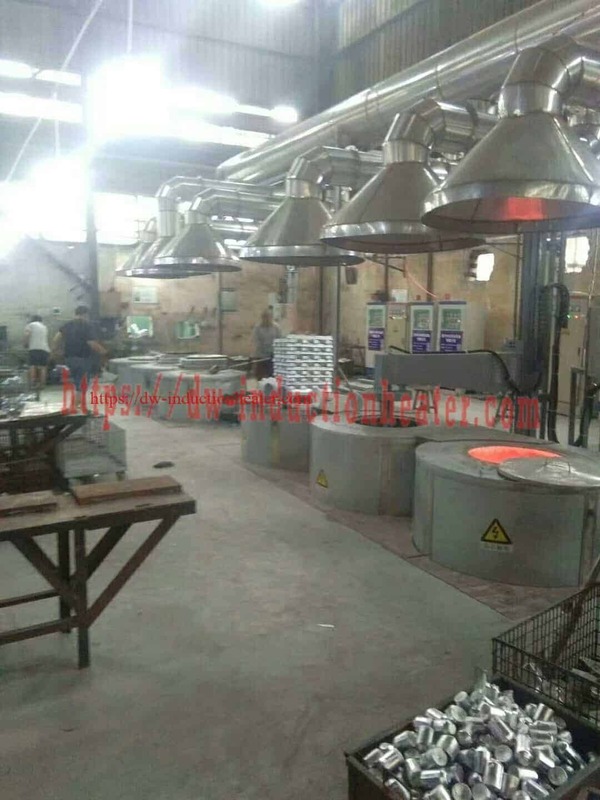 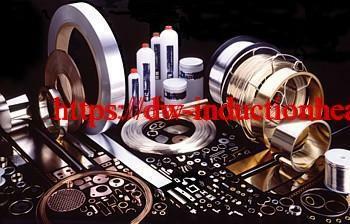 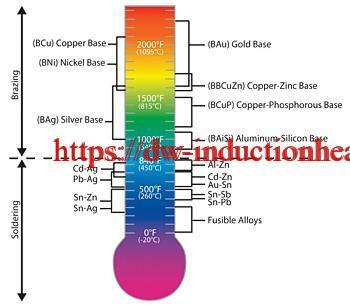 Process A specially designed double U channel coil the length of the pipe is used in this application. 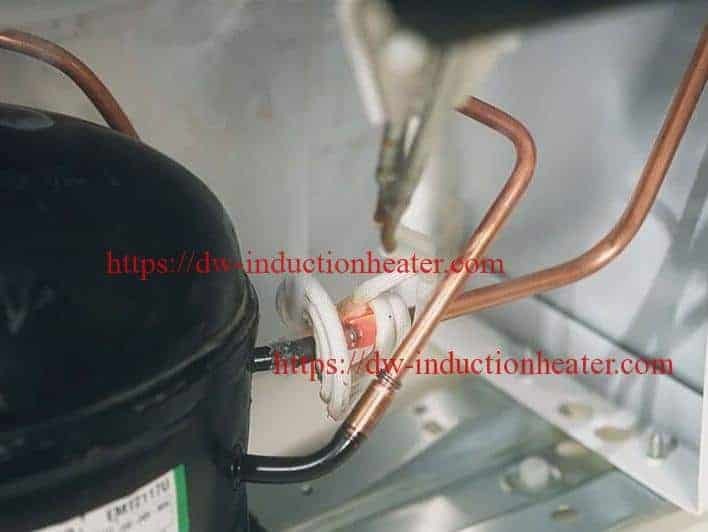 The pipe is placed inside the coil and power is supplied. The voltage is set and the power output is 100kW. 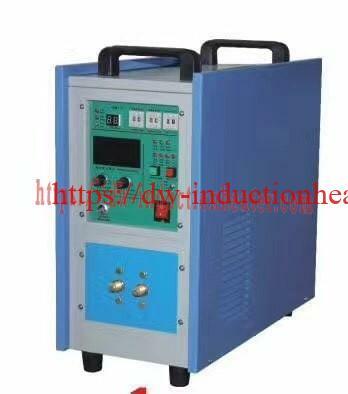 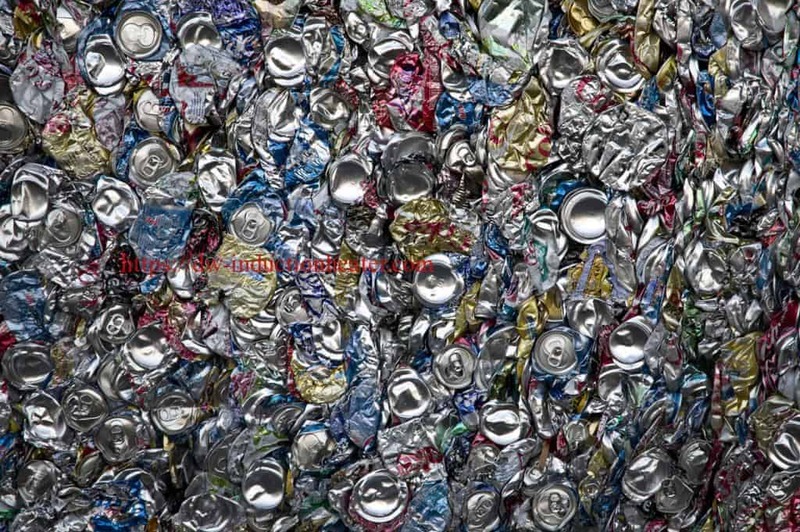 As the part reaches the Currie point the power drops to 80kW and the voltage must be increased to achieve the 140kW. 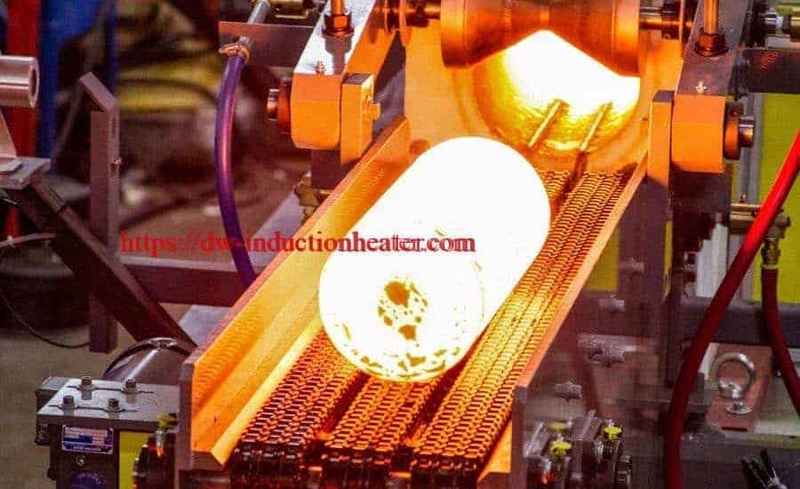 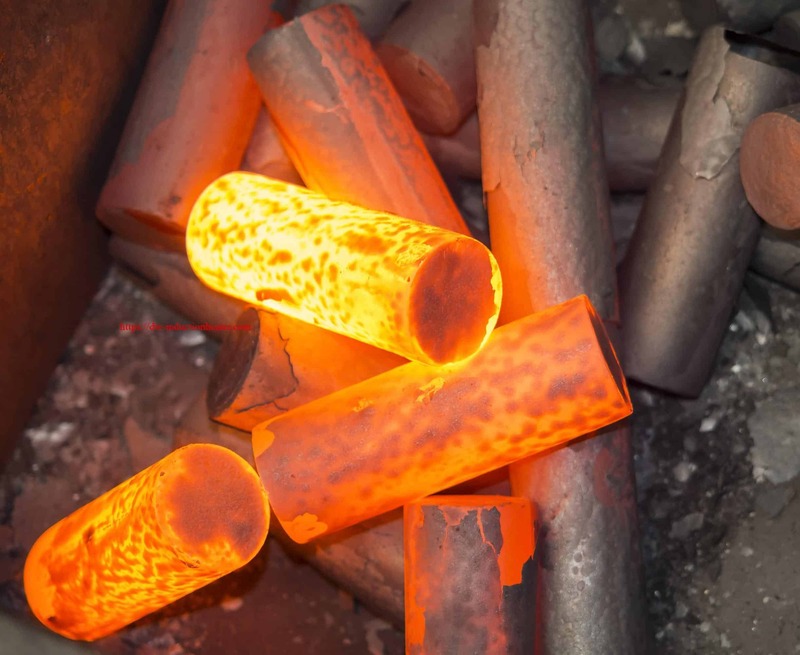 The pipe reaches 1100ºF (593ºC) in 20 minutes.